The Building Industry Association of the Bay Area is a non-profit membership association that advocates at the local, regional and state level in support of an adequate supply of quality homes for people of all income levels. BIA’s 400-plus members are home builders, trade contractors, suppliers and residential development industry professionals. Within the organization, BIA links the individual member to the entire industry through informational, educational and technical services and facilitates networking opportunities at targeted meetings and special events. BIA also assembles specialized industry councils and committees that address issues from its members’ unique perspectives. Headquartered in the Contra Costa Centre Transit Village in Walnut Creek, BIA|Bay Area’s eight-member staff and consultant team is governed by a 25-member board of directors. BIA invites all people who provide products or services related to the residential building industry to join the association. 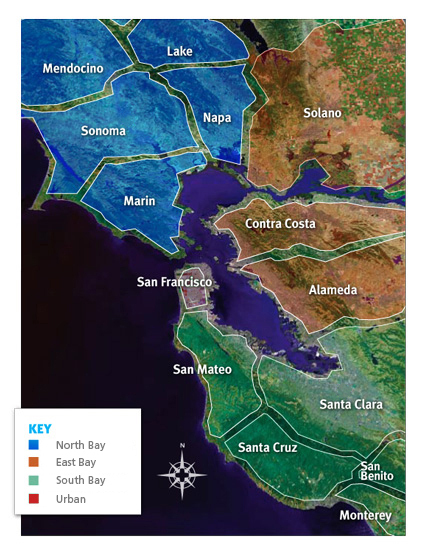 It proudly represents the following 14 counties: Alameda, Contra Costa, Lake, Marin, Mendocino, Monterey, Napa, San Benito, San Francisco, San Mateo, Santa Clara, Santa Cruz, Solano and Sonoma.